What’s Christmas without snow? As a result, for my next listmas list, I thought it would be nice to list some chilly things, particularly chilly characters. It’s surprising how many characters are fit for this most festive of seasons, so sit back and enjoy the Duck’s list of chilliest characters in gaming, good and bad. Brr! Sir Slush is the first chilly character that came to mind. Just his name alone makes you want to shiver. This evil snowman from Banjo-Kazooie likes to harass the player by throwing snowballs at them, and if his laughter is anything to go by, he really enjoys it, too. Freezeezy Peak and the winter season of Click Clock Wood are where this cold, cruel baddy can be found. Bleak is another snowball-flinging snowman from the mind of Rareware. This guy appears as the boss of Donkey Kong Country 3’s world, K3, and he can only be beaten by chucking snowballs right back at him. Watch out, though, because he can also shoot cannonball-sized snowballs from his hat. This is proof that not all snowmen are kind and warm like Olaf…. Vexen, number 4 of Kingdom Hearts’ group of villains, Organization XIII. Okay, okay, he’s definitely not cold like the other characters I’ve mentioned so far (I mean, those guys were actually made out of snow), but this scientist’s icy personality (pun intended) and his ice powers more than make up for it. I mean it, this guy is cold. He might have powers similar to Frozen’s Elsa, but he doesn’t intend on using them for anything festive. George and Mildred, a married couple from Banjo-Tooie. It’s surprising how many chilly characters appear in Rareware games…. Ahem, these guys are actually sentient ice cubes that live on the icy side of Hailfire Peaks, though they suffered tragic ends at the hands of our heroes, ironically enough. Mildred was heartlessly murdered thanks to Kazooie’s Bill Drill, while George was pushed into a boiling pool of water on the fire side of Hailfire Peaks and was promptly melted. While they may not be made of ice and snow, it seems like Banjo and Kazooie themselves might be the coldest characters that appear in this game…. 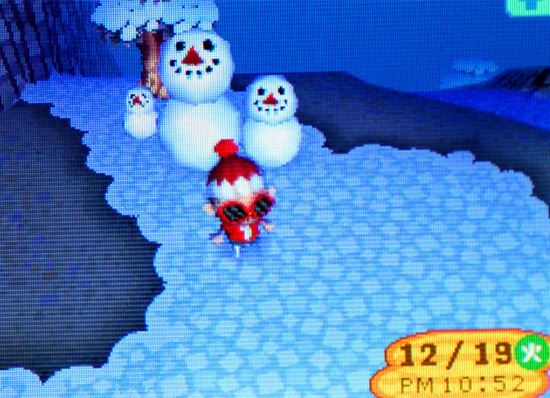 The snowman from Animal Crossing, though when you first see him, he is merely a few unassuming snowballs. Once you roll those snowballs for a while and make them bigger, however, you can build a snowman, though you are only rewarded for your efforts if his proportions are correct. I never could get it right. No snowman furniture for me. Sorry, but another Rareware character simply must be mentioned. In fact, I am actually talking about an entire family of chilly characters, Boggy and his family of polar bears. First seen in Freezeezy Peak, these guys moved into a larger igloo in Hailfire peaks, which is furnished with furniture made entirely out of ice. 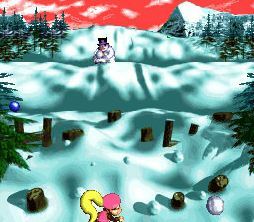 In the first game, you even got to challenge Boggy to a sled race. Unfortunately, Boggy’s too busy watching his new TV (also made of ice) to be much fun in Banjo-Tooie…. 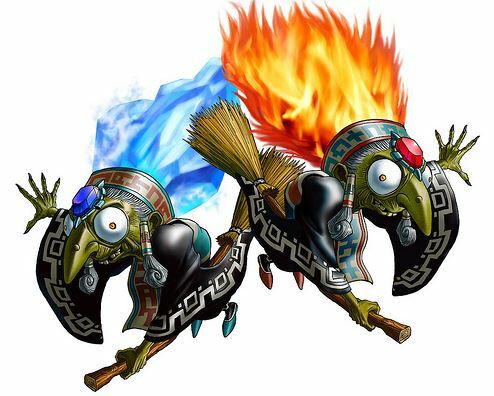 Kotake, one of a pair of twin hags from The Legend of Zelda: Ocarina of Time, sports the power of ice, while her sister Koume can wield fire. Now, when the two combine to form Twinrova, it makes you wonder how chilly she really is at that point. Shouldn’t their fire and ice powers cancel each other out? Chilly Willy is the ice dragon that guards the snowy side of Hailfire Peaks and brother to the fire dragon Chilli Billy. He actually lives inside a giant ice volcano and can shoot big chunks of ice down at people he doesn’t like, including our heroes, Banjo and Kazooie (yes, yet another Rareware character, I know)! Just thinking about the boss battle against this guy makes me shiver. 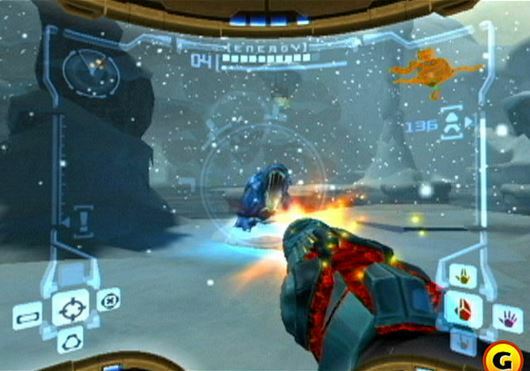 The Sheegoth is a frightening enemy from Metroid Prime that lives in the snowy Phendrana Drifts of Tallon IV. These things terrified me for the longest time because they just seem to have too many teeth and spikes for their own good, but they’re not so bad once you get the plasma beam. By the way, does Samus’s suit have central heating? And last of all, penguins everywhere, whether it’s the mama penguin and her lost baby in Super Mario 64’s Cool, Cool Mountain, King Dedede from the Kirby series, the penguin author Herringway from Paper Mario, or the Lemguins of Donkey Kong Country 3, we love you, penguins. Okay, we don’t really like the mean penguins, but still. Who doesn’t love a good penguin? They’re chilly and adorable! Bleak…he’s funny now, but I remember him being incredibly creepy as a kid. He still creeps me out quite a bit. I think it’s the laugh. And his face. But mainly his laugh. That might be the reason I’ve always been afraid of snowmen….